Seawater Greenhouse Somaliland Construction is Underway! I am very pleased to announce that, three years since the initiation of the Seawater Greenhouse Somaliland project, construction of the pilot has now begun! With a great team assembled, and the guidance of our amazing partners PENHA ( The Pastoral & Environmental Network in the Horn of Africa) who are facilitating the project in-country http://www.penhanetwork.org/, we are optimistic for a smooth and successful installation over the next few months. 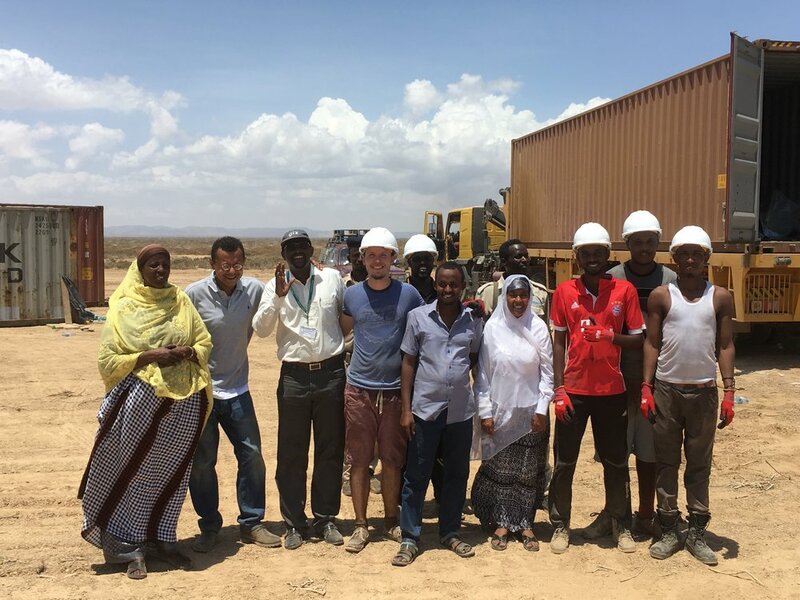 Orchestrated by the Director of Seawater Greenhouse, Charlie Paton, and alongside partners PENHA and Aston University, this project aims to provide drought resilience to the agricultural industry in Somaliland. Through best practice in protected agriculture and horticultural science together with our developments in seawater cooling and desalination, we will create the potential for the cultivation of vast tracts of unused, arid land for food production. Somaliland, as well as the majority of the Horn of Africa, is one of the most food insecure countries in the world. With annual yields averaging 0.5 tons per hectare and only 1.6% of the 600,000 km2 country area (FAO) being cultivated. With the new line of Seawater Greenhouses, developed over these three years through research and design, we aim to produce up to 300 tons per hectare. The site is located 17km west of Berbera, the major port town of Somaliland, and is on the fringe of a large dried up wadi (river). The landscape is arid and blisteringly hot; however the restorative agricultural approach of the Seawater Greenhouse will go a long way to re-hydrating and revitalising the land around the site. With official confirmation that the site was ready early this week, we have worked fast to begin the project; Karl Fletcher handled container inspections at Berbera Port to prepare for their transfer to the site whilst I and team PENHA prepared final logistics for the construction phase.